It is hard to find the perfect color palette if you have no idea what look you are going for. Developing a fabulous color palette starts by finding the right inspiration. Leafing through home and lifestyle magazines is one way to get inspiration. Conjuring memories from your favorite vacation also help develop an excellent color palette. Once you found your inspiration, check what these colors have in common. Do you prefer different shades of blue or a combination of neutral and bold? Do you like muted colors or rich and vivid? All these factors will come to play once you decided on a specific color palette. To develop the right color palette, consider the what mood you are trying to achieve in a particular space. For instance, if you are repainting the bedroom because you want to achieve a restful sleep, we recommend going for light, cool hues that are easy on the eyes. These hues calm the mind and induce sleep. If say, you want to achieve an energizing feel to the living area, go for vivid or bright hues to perk up the senses! To determine the right color choices in a space, look around you. Does your space have hardwood floors and antique furniture or contemporary furnishings and sleek design? 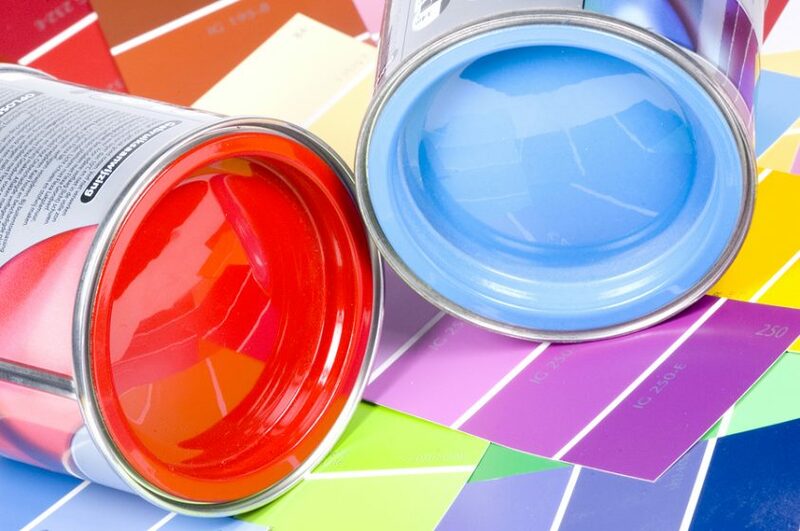 All these factors will also affect how a certain color palette will translate to a space. If your home features antique furniture or traditional furnishings, go for rich hues or neutral shades so the color palette does not clash with the key elements in your space. If the space features crisp lines or contemporary furnishing, you can get away with either bright and bold hues or neutral shades alike. A great way to achieve a cohesive color palette is to develop a palette using colors from the same color family. For instance, you can apply varying shades of blue to your living room all the way to your reading nook to achieve a uniform space. Of course, since the shades vary in vividness, you can evoke different moods and different vibe to various rooms. The key is to be open to experimentation. Experimenting with different shades allows you to create various effects, evoking different mood. Dramatic midnight blue works as an accent color in the living room area while robin’s egg blue evokes tranquility in the bedroom! It is hard to pick the right color for connecting spaces of the home. But if you want a color family that works great in either traditional or contemporary spaces, you simply cannot go wrong with neutrals. White, beige, greige and tan look great for halls and landings. These colors also give the eyes rest from saturated colors in the living area.